There are four sheet thicknesses 3mm, 5mm, 10mm and 20mm. 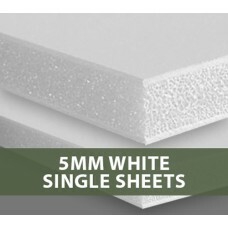 Available as single sheets or in Box quantities. Click individual products to see sizes available and respective box quantities. If you need a custom cut to size sheet please look in the cut to size section. 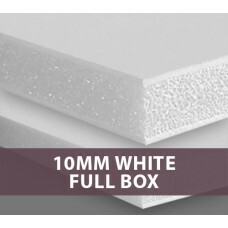 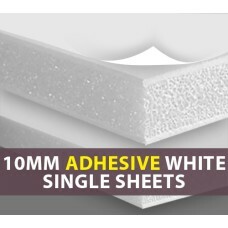 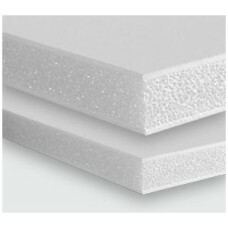 3MM Acid-Free White Foamboard available in two sheet sizes.Minimum 5 sheet buy. Box quantities..
3mm White Acid-Free FoamboardBox Quantity 30 sheets ..
5MM White Foamboard Single SheetsMinimum 5 Sheet Buy5mm White Foam Core BoardIf you would like..
5mm Foamboard FULL BOXES of 25 sheets available in four standard sizes.Full Box of 25 sheets i..
White 10mm Acid Free FoamboardMinimum 5 Sheet Buy ..
10MM White Acid-Free FoamboardFull Box of 15 sheets ..
5mm Artcare Archival Foamboard FULL BOXES1015 x 815mm 25 sheets per box 1525 x 1015mm 2..
20MM White FoamboardFull Box has 8 sheets in the 2440 x 1220mm size. 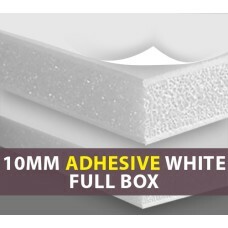 ..
3mm Adhesive Foamboard Single SheetsMinimum 5 sheet Buy ..
3mm Adhesive FoamboardFull Boxes of 30 SheetsTwo sizes available815mmx 1015mm & 10..
5MM Adhesive Foam boards Single SheetsMinimum 5 Sheet Buy ..
5mm Adhesive Foamboard - Four sizes availableFull Box of 25 sheets in 1016 x 815mm (40" ..
10MM Adhesive FoamboardMinimum 5 sheet Buy ..
10MM Adhesive coated White FoamboardFull Box of 15 sheets ..
3MM Black Acid-Free FoamboardMinimum 5 sheet buyAvailable in Boxes of 30 sheets ..
3MM Black FoamboardBOX QUANTITY is 30 Sheets ..
5MM Black Acid-Free Foamboard single sheetsMinimum 5 Sheet BuyAvailable in boxes of 25 ..
5mm Black Foamboard. 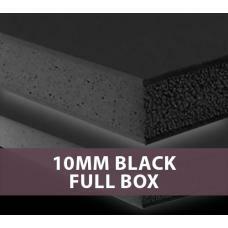 Box Quantities.1015 x 815mm has 25 sheets in a box.1525 x 1015mm has ..
10MM Black Foam Board Single Sheets. 1524 x 1015mm. 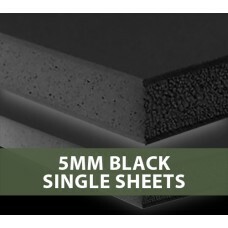 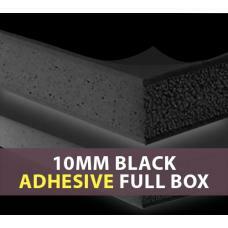 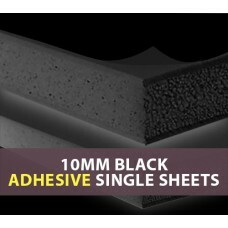 15 sheets per Box..
10MM Black Adhesive Foam Board Box Quantity of 15 sheets. 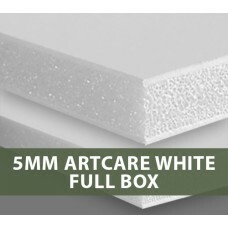 1524 x 1015mm. ..
OFFICE WORKS SIZE 500mm X 770mmFoamboards available in 3mm and 5mm White or BlackCut to match Quill ..
A selection of our range of foam boards products.This pack is free but we ask you pay the ship..